I don’t know whether I’m more excited or more scared about landscaping the garden. 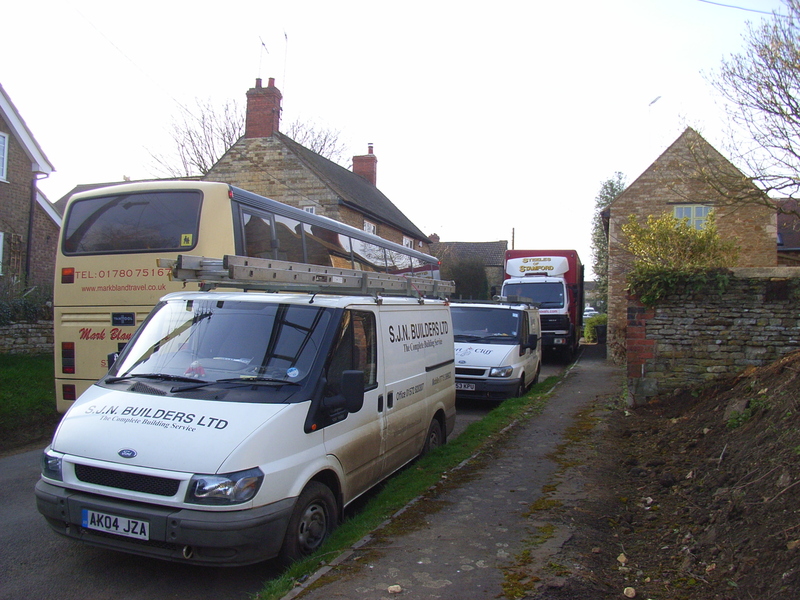 Stuart (SJN Builders of Bisbrooke) and his boys are back with their toys: two mini-diggers. 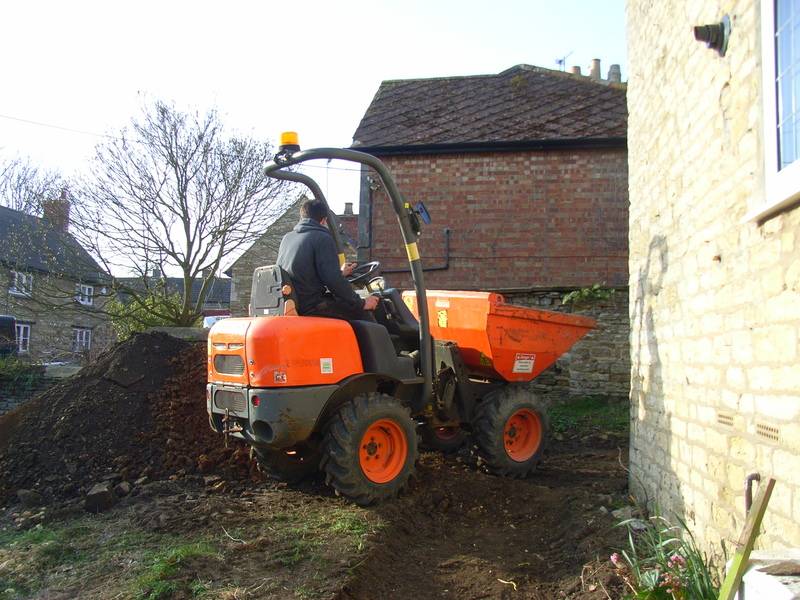 I’ve got so used to the garden being a fairly well-behaved wasteland (level-ish, bare-ish) all winter that seeing trenches dug, the fence ripped out and earth piled up is a bit of a shock. 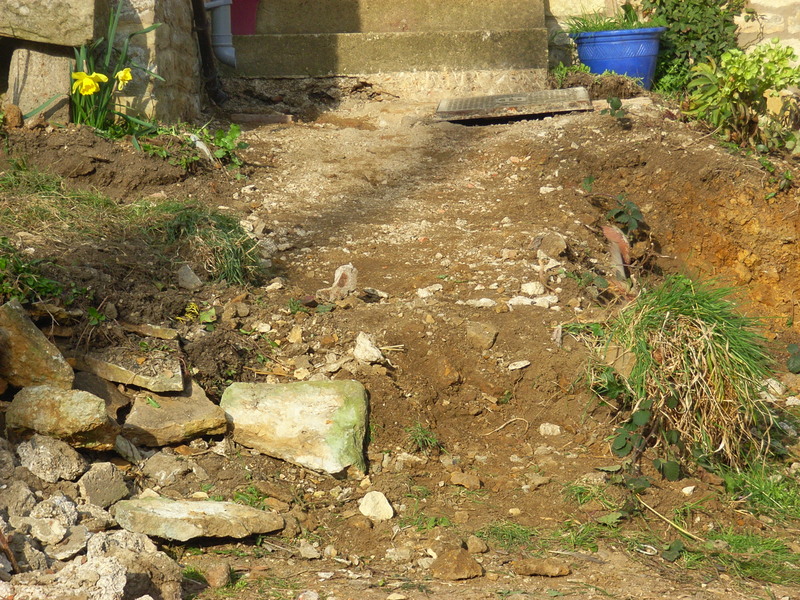 Typical builders though: I came home first day to find half the steps to the front door disappeared, and half the fence removed. Why half? Why not do one of them fully? Still, the other half of each went yesterday, so I now have an earth slope to the front door (then a big step up), nowhere for the water from the kitchen drain to go, and nothing at all to stop the dog from getting run over. I have a lovely plan for the entire site, drawn up by designer, neighbour and friend Alison Hutchinson. It was quite a challenge because of the sloping site: it’s small, but complicated. I know how much time and effort Alison has taken, and I love the beautiful drawing, so I really want to see it come off the plan and into 3-D as closely as possible to the original! Stuart has a copy of the plan, and it’s already crumpled and got strange scribbles on. “We’ll work it out as we go along,” he grins… “It’ll be fine!” Gulp.